…when you can NOT get sick? Unfortunately, it’s that time of year…you know the one I’m talking about. The germy, sniffly, feel yuck time of year. Don’t join that party. Because we all know it ain’t any kind of party. Wash ’em right and wash ’em often! Use warm, soapy water. Wash for the duration of 2 renditions of Happy Birthday. That may sound like an eternity, but it’s 10-15 seconds. Let’s not be dramatic. Eat your greens, drink your greens…whatever. Just get as many green veggies into your body as you can. They are your best defense. Cooking them is especially good this time of year, as it will be warming to your system and will kill off any bacteria. Don’t overcook, of course. Just lightly steam or sautee them. And add a bit of healthy fat after cooking, like olive oil or avocado, so the vitamins and minerals are better assimilated into your body. Eat your antioxidant-rich foods! Berries and citrus are loaded with Vitamin C and and good-for-you vitamins. It’s very important to eat real, whole foods, to stay healthy and to recover faster if you do get sick. Additionally, organic blueberries are more reasonably-priced this time of year. And berries are low in sugar. See #7 for more on that. Tired? Don’t go get a quadruple latte. Take a few minutes to lie down and let your body recharge. If it’s tired and you caffeinate, you’re just going against it and that’s not going to work out well for you in the end. 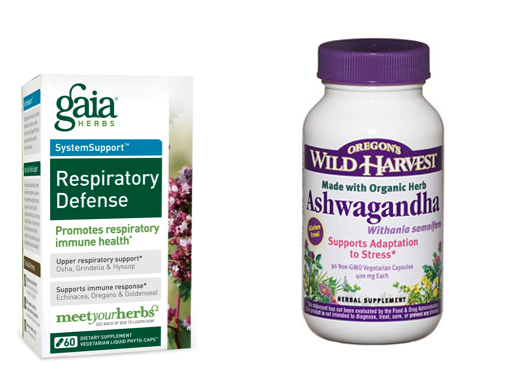 I recommend Gaia Respiratory Defense, Black Elderberry, Ashwagandha, and Astragalus Reishi. 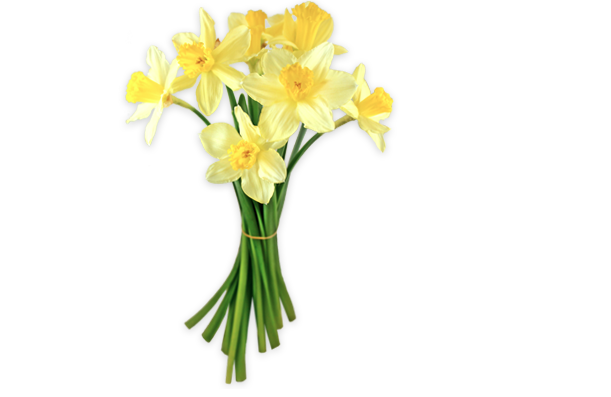 These help you fight stress and boost your immunity. Take note, my pregnant readers: these are not for you. Fish oil fights systemic inflammation, so it’s a good idea to take a high quality one daily to support the immune system and overall health. It also boosts fertility, is essential for pregnant women and their growing babies, as well as those suffering from arthritis, heart disease, or other chronic diseases. 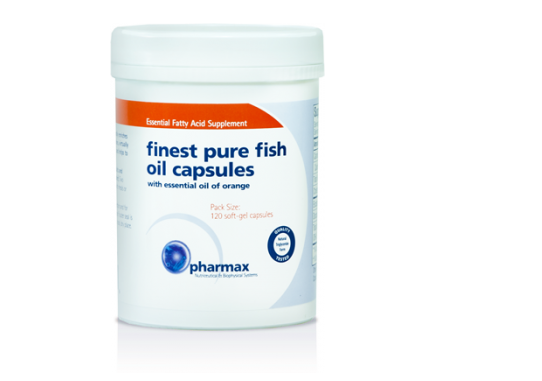 My recommendation is Pharmax Finest Pure Fish Oil Capsules – all pcbs, dioxins and mercury have been removed and these won’t give you fish burps. Know what won’t boost your immunity? You guessed it: sugar. Sugar wreaks havoc on your immune system and leaves you vulnerable to all the nasty bugs out there. And once the bug is in your system, it feeds on sugar and exacerbates the illness. Hope you all stay healthy out there! It’s best to eat whole foods, which are foods in their natural state. 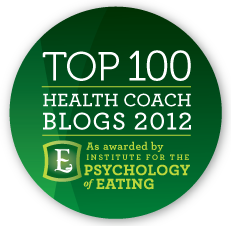 I’m talking about fruits, vegetables, nuts, legumes, meat, fish, eggs…foods like that. These are foods that have not been processed beyond recognition. These are foods with one ingredient, that come from nature. But we all have a lot going on. Sometimes it’s just too much work to cook up a fresh meal every time. Am I right? 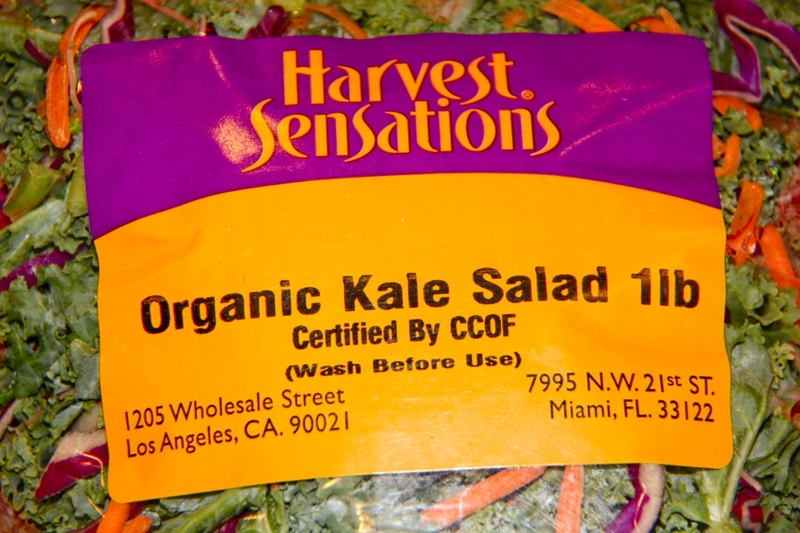 Buying local is best, and cutting your veggies on the spot is best, but with this pre-cut bag of organic kale, I’m getting kale that’s ready to go, along with carrots and cabbage. Saves me a lot of time in prep + 3 whole ingredients in one = Very Helpful. Sure, steel cut oats are best, but like many of you, I need to expedite my breakfast, so quick oats it is for me. Whole Foods 365 brand makes a great organic option that is ready to go in just a few minutes – cooking isn’t even necessary! Make cold or hot and let them sit for a couple of minutes to let them soak and you’re good to go. Now, I don’t know how many places are carrying this – could be a very new product – and I don’t know what is going on with that name, but I just found it at my local Whole Foods in Silicon Valley and it’s great. 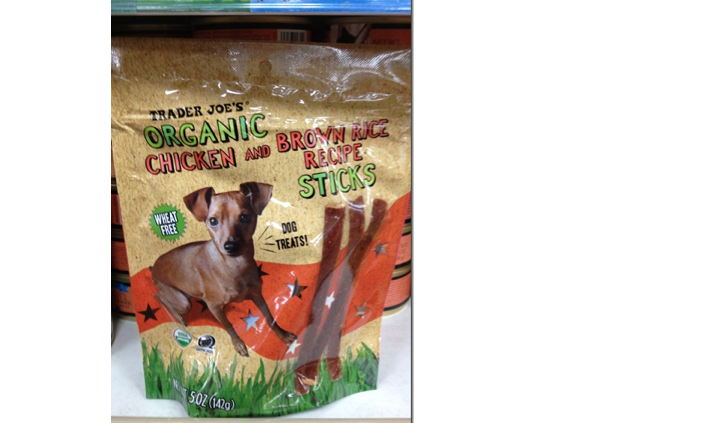 This is a package of pre-cooked organic chicken breast with a bit of salt, pepper, and onion and garlic powders. That’s it. No preservatives. Throw ’em on salads, sandwiches, or eat right out of the package. Easy. Tasty. Ideally, you want to buy dried (not canned) beans and soak them. It’s healthier because they’re fresher, cans have BPA, and the contents of cans typically contain a lot of additives. There is one exception: Eden Organics. Their cans are bpa-free and there are no nasty ingredients. GMO-free since 1993, and one of the last independently owned organic companies, this is one company I’m happy to support. That’s right. This post is about chocolate. How fun is that?! I’m all about health, but I’m all about chocolate, too! So that means I like pricey, fancypants chocolate, but we all have our guilty pleasures, right? Craft chocolate is totally having a moment right now, just like beer and coffee. And I am all for taking advantage of it! What do I look for in my chocolate? Only two ingredients and a whole lotta taste. Okay, you know I don’t think sugar is so great, but this is my one exception because dark chocolate – when 70% or higher – has antioxidants and deliciousness, and helps to curb hunger. And just a little bit goes a long way. We gotta treat ourselves sometimes, you know? We’re not nuns, here. Columbia has notes of caramel. Venezuela has notes of cinnamon and fruit. I love caramel, cinnamon, and fruit! Notes of coffee, blood orange, nuts. Yum, yum, and yum. This one contains a 3rd ingredient – cocoa butter. I can make exceptions. The grocery store selection can be good, too, but they typically have more than just two ingredients. They have a few different flavors. All are good, but this is made with raw cacao and tastes a little different. It’s super healthy because preparing it at a low temperature preserves the antioxidant content, but the taste might not be for everybody. 3. Alter Eco – Gmo-free. Organic. Vegan. Soy and gluten-free. Fair trade. I especially like the quinoa flavor even though the chocolate isn’t as dark. 4. Snake and Butterfly – Fair trade, organic, and milk, soy, and gluten-free. The higher the cocoa content, the lower the content of sugar (and other stuff if you’re eating chocolate that has more than just cacao and sugar), and that’s a good thing. We want higher cocoa content. So that 85% dark chocolate bar? It has more cocoa and less sugar than that 47% bar. And more antioxidants. For the most antioxidants, eat raw cacao (this is where chocolate comes from but when we heat it at high temps and add in sugar, etc., it loses it’s nutritional punch). It’s delicious in smoothies, chia pudding, oatmeal, in a mix with walnuts and goji berries, in greek yogurt…the possibilities are endless. In fact, raw cacao is a superfood – and it’s the food with the highest antioxidant content on the planet. Yes, you read that correctly. Raw cacao has more antioxidants than blueberries – by a lot. And when eaten with berries, the antioxidant effect multiplies. Pretty amazing, right? Chocolate is awesome. So there you have it. Go grab my grocery faves or indulge in one of my high-end finds. Either way, it’ll be tasty! You know how I love my trips to Whole Foods, and last night’s little jaunt ended up being another fun health coach moment. This time it was all about nutritional yeast! Okay, some of you are probably thinking, “What the what?” We’re getting to that. So a couple of guys found me grabbing at the kale krunchies and had to ask what they were all about. “Nutritional yeast is the best part!” I screamed. Okay, maybe I didn’t scream, but I was VERY animated. Nutritional yeast does not cause Candida (yeast overgrowth) because it is not an active yeast, so no concerns there. What contributes to yeast overgrowth is sugar. Nutritional yeast is super healthy because it’s loaded with B vitamins, and B12 is the one vitamin that vegetarians and vegans can’t get from any food because it comes from animal products. Nutritional yeast is also a great source of protein and folic acid. Each tablespoon has only 20 calories plus 1g of fiber and 2g of protein, so it’s a low-cal add-on that packs a hefty nutritional punch. It makes food cheesy! I’m not kidding. It doesn’t have any salt, dairy, sugar, gluten, egg, animal derivatives, wheat, corn, starch, soy or any artificial flavorings, colors, or preservatives. And it’s non-gmo. But somehow, miraculously, it tastes like parmesan cheese. I’m not sure why or how but it does and it sure jazzes up many a meal for me. I put it on popcorn, eggs, veggies, and Lydia’s kale krunchies. So, since I got that question out in the world last night, and since up until a few days ago, two very health-conscious friends of mine who eat very little meat had never heard of it, I figured I’d bring all the rest of you up to speed, as well. 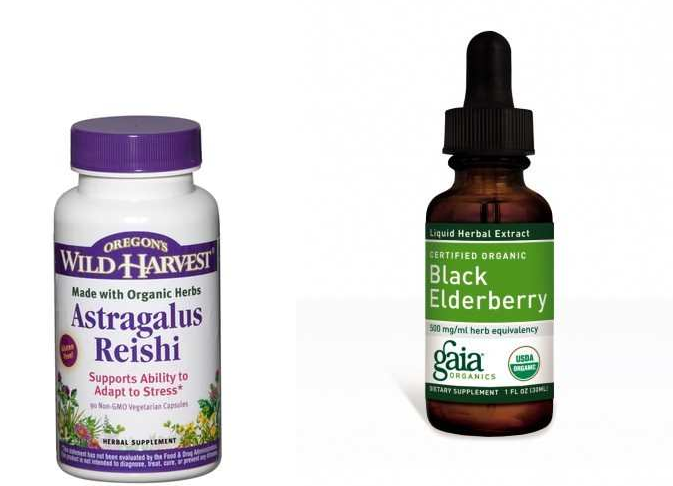 The two main brands are Bragg and Red Star and you can find them at Whole Foods, health stores, or online. I’m no vegan but I don’t eat a ton of animal products. I’m all for a plant-based diet, but it needs to be done the right way, and getting all your vitamins, especially that B12 is very important. So there you have it. I can’t wait for my next Whole Foods encounter!